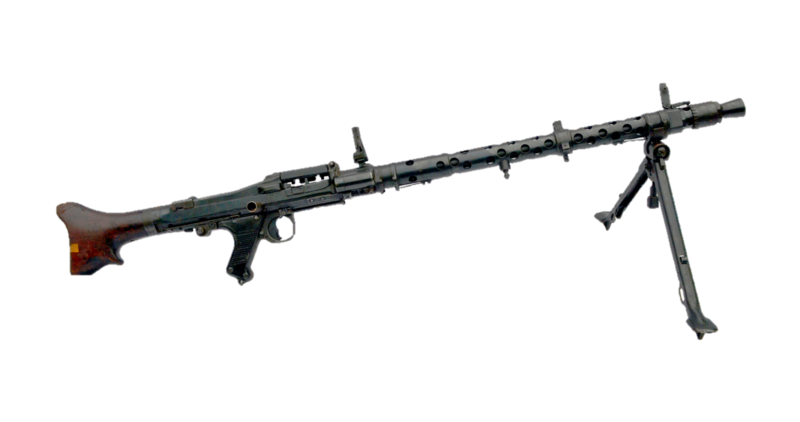 The Maschinengewehr 34, or MG 34, is a German recoil-operated air-cooled machine gun, first tested in 1929, introduced in 1934, and issued to units in 1936. 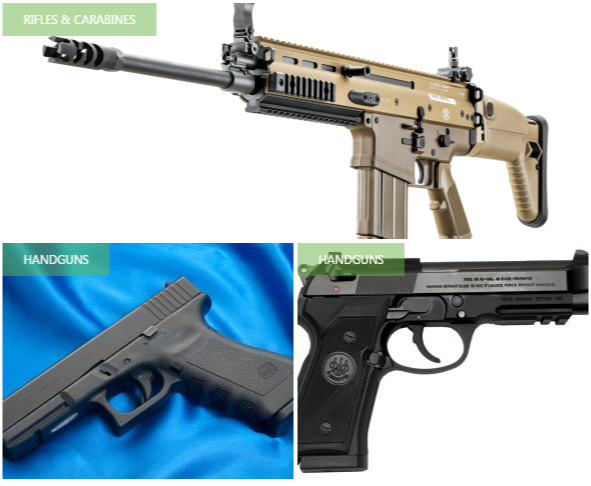 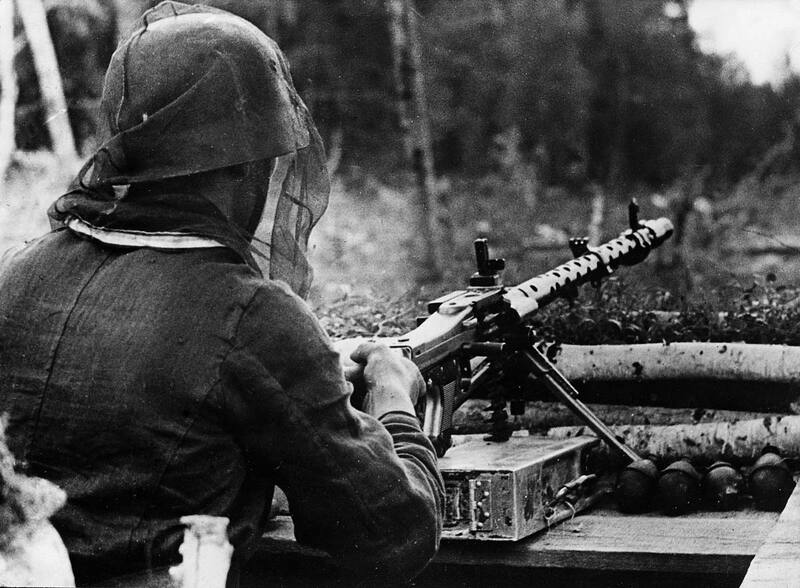 It accepts the 7.92×57mm Mauser cartridge, and is generally considered the world’s first general-purpose machine gun. 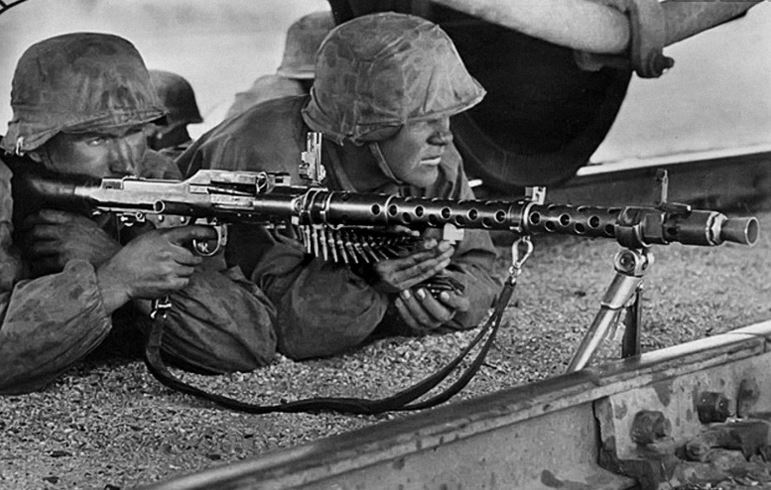 The versatile MG 34 was arguably the most advanced machine gun in the world at the time of its deployment. 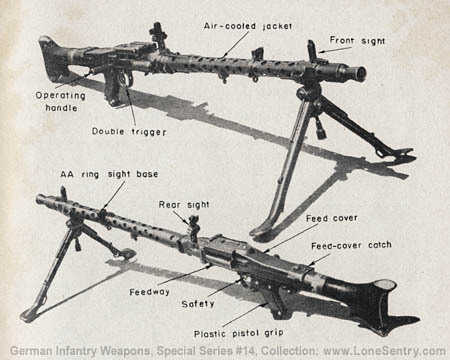 Its combination of exceptional mobility – being light enough to be carried by one man – and high rate of fire (of up to 900 rounds per minute) was unmatched. 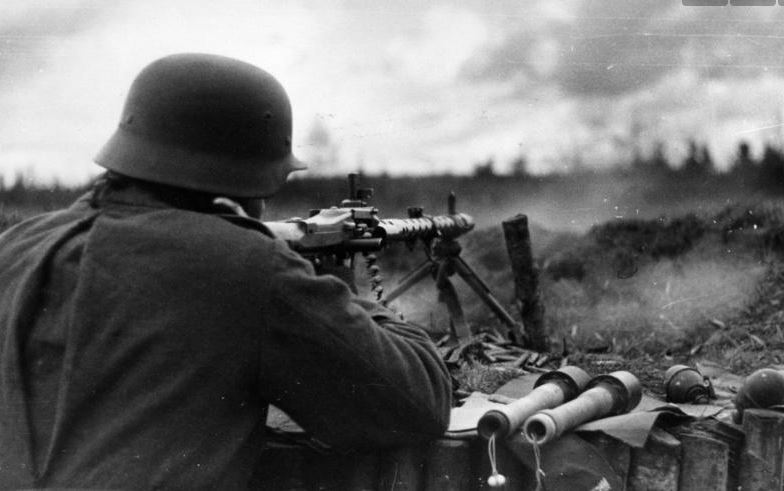 It entered service in great numbers following Hitler’s repudiation of the Versailles Treaty in 1936, and was first combat tested by German troops aiding Franco’s Nationalists in the Spanish Civil War. 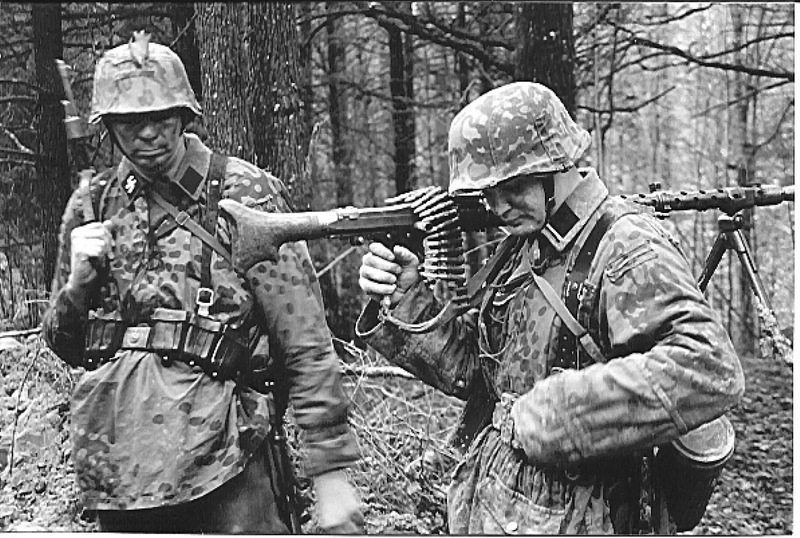 Nonetheless, the design proved too complex for mass production, and was supplemented by the cheaper and simpler MG 42, though both remained in service and production until the end of the war.